With the podium, Marc Lieb (Germany), Timothy Pappas (USA), Jeroen Bleekemolen (Netherlands) and Luca Stolz (Germany) crowned the strong performance of the four 911 GT3 R at the opening round of the Intercontinental GT Challenge, at which all finished in the top six after a gripping race against tough competition. Only the termination of the race after a serious accident shortly before the flag prevented a possible victory. 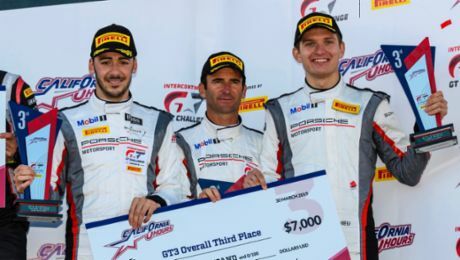 Grove Motorsports secured the second class victory, with the squad taking home the Class B trophy with the 911 GT3 Cup. All results and points standings for the Intercontinental GT Challenge can be found on www.intercontinentalgtchallenge.com. 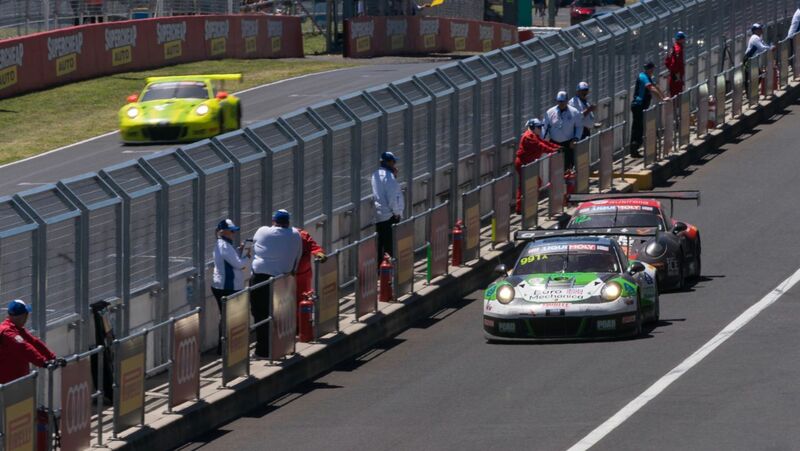 After the half-distance mark of the endurance classic at the legendary Mount Panorama Circuit in the Australian state of New South Wales, all four of the Weissach-built racers fielded by international Porsche customer teams are running amongst the top ten in the overall classification. The best-placed 911 GT3 R is the Craft Bamboo Racing entry from Hong Kong, in which Earl Bamber (New Zealand), the defending long distance world champion and two-time Le Mans winner, is currently running in third. His teammates are Laurens Vanthoor (Belgium), who ploughed from the 18th grid spot to third place in the first three hours of the race, as well as Kévin Estre (France). The 911 GT3 R was designed by Porsche Motorsport for worldwide GT3 series on the basis of the 911 GT3 RS production sports car. At the opening round of the Intercontinental GT Challenge, which traditionally starts in darkness at 5:45am, the other 911 GT3 R have also advanced through the field. Manthey-Racing’s 911 GT3 R, driven by Romain Dumas (France), Dirk Werner (Germany) and Frédéric Makowiecki (France), has so far made up 21 positions thanks to consistent fast lap times and a perfect pit strategy and is currently lying in fifth place. 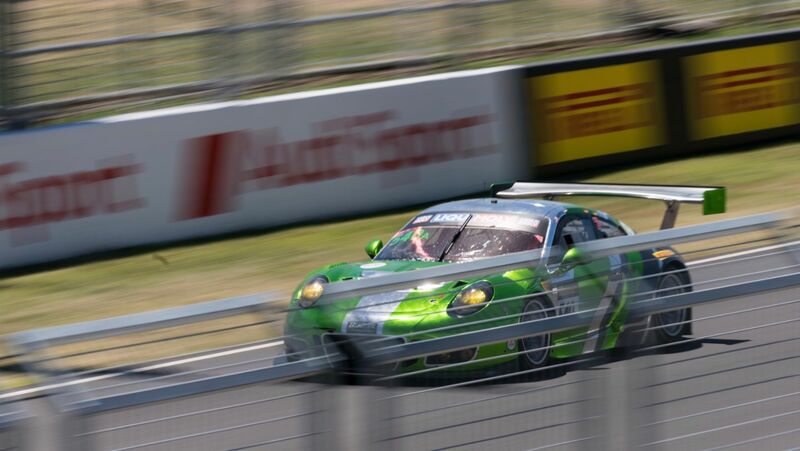 In the 911 GT3 R fielded by the Australian team Competition Motorsports, Patrick Long (USA) took the lead after four and a half hours. With Porsche Young Professional Matt Campbell and his Australian compatriots David Calvert-Jones and Alex Davison, they currently rank sixth. Driving the 911 GT3 R of the American squad Black Swan Racing, Marc Lieb (Germany), Timothy Pappas (USA), Jeroen Bleekemolen (Netherlands) and Luca Stolz (Germany) sit on eighth place. Compete for honours in the premier A class at the Bathurst 12 Hour aside from Porsche are Audi, Bentley, BMW, Lamborghini, McLaren and Mercedes-AMG. In the B class, Grove Motorsport leads the field with the 911 GT3 Cup shared by Ben Barker (Great Britain) and the Australians Stephen and Brenton Grove. Fourth place is held by the Carrera Cup Asia team with Paul Tresidder (Australia), Chris van der Drift (New Zealand) and Andrew Tang and Chen Yi-Fan from China. More quotes in the press release (see downloads). The 911 GT3 R was designed by Porsche for worldwide GT3 series on the basis of the 911 GT3 RS production sports car. Mounted with the ultra-modern, four-litre flat-six engine with direct fuel injection, the customer sports racer celebrated its race debut in January 2016 at the Daytona 24-hour race. Since then, the racer has notched up victories in numerous international racing series, for example in the IMSA SportsCar Championship, the World Challenge, the ADAC GT Masters, and at the Nürburgring VLN long distance championship on demanding Nordschleife. The Intercontinental GT Challenge is the world’s first racing series run for GT3 vehicles. It was founded in 2016 by the SRO Motorsports Group led by Stéphane Ratel. 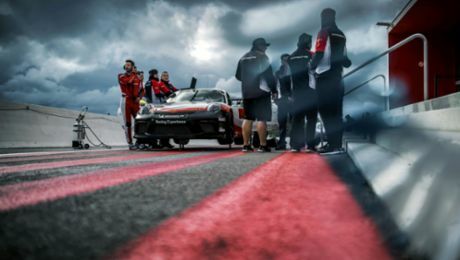 Porsche will not compete with a factory squad, but instead supports international customer teams in their campaign with the 911 GT3 R by providing works drivers and engineers. The 2018 calendar is made up of four races on four continents.